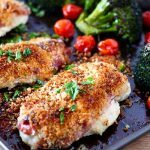 These Sheet Pan Unstuffed Chicken Breasts are so delicious and are ready in less than thirty minutes. They are so lovely you can serve them to company, but so easy you can make them on a busy weeknight! 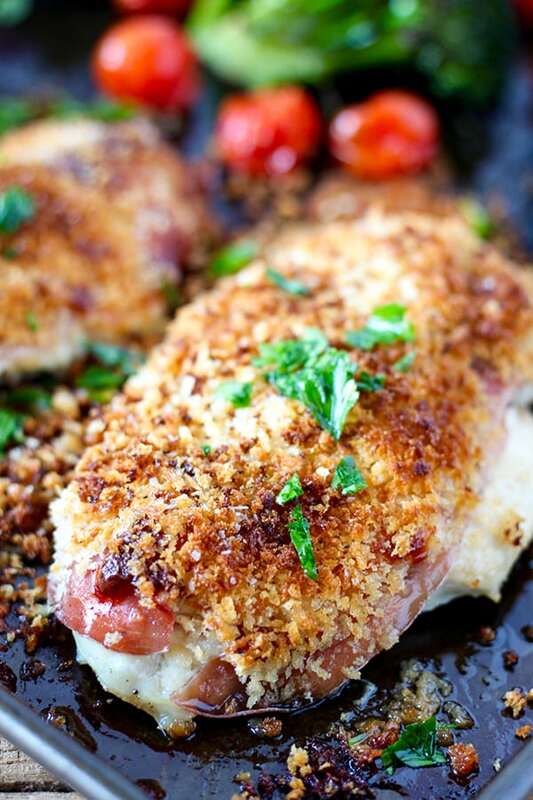 Boneless, skinless chicken breasts topped with crispy prosciutto, melted provolone cheese and a crunchy panko bread crumb topping. 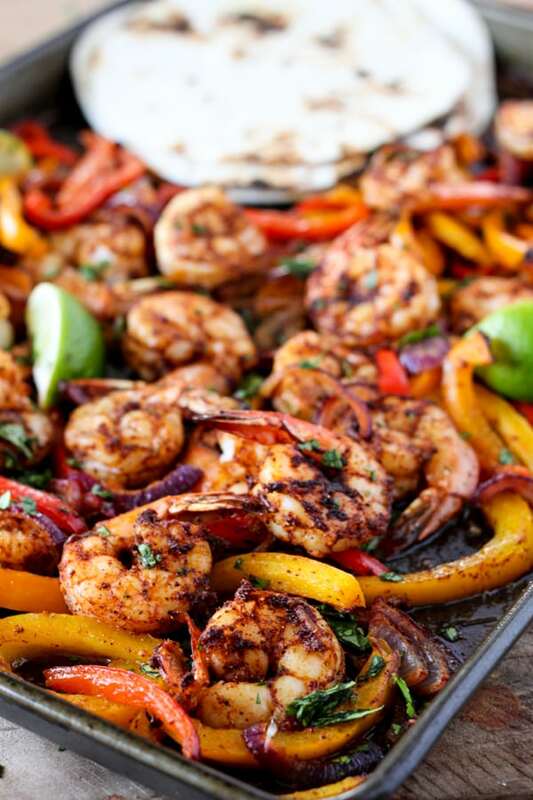 The veggies cook on the same sheet pan, so it’s a perfect all in one dinner! If you prefer an easy clean up, line the sheet pan with foil before baking! Start with four small or thin boneless, skinless chicken breasts. 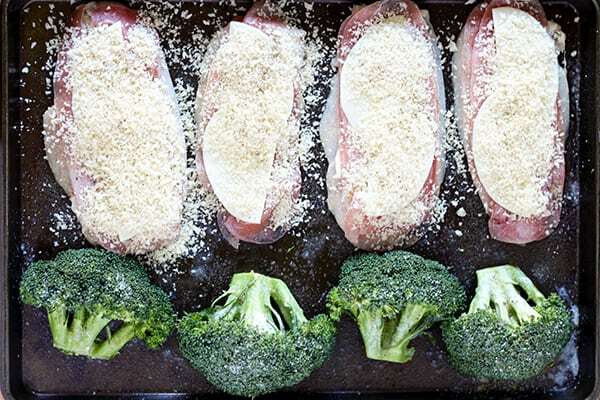 I tested this recipe with large chicken breasts and while they looked beautiful, they didn’t cook through before the broccoli and prosciutto started to over cook. The chicken breasts that I buy are generally on the plump side, so I cut through them long ways and they were perfect. Pat the chicken breasts dry, then season. 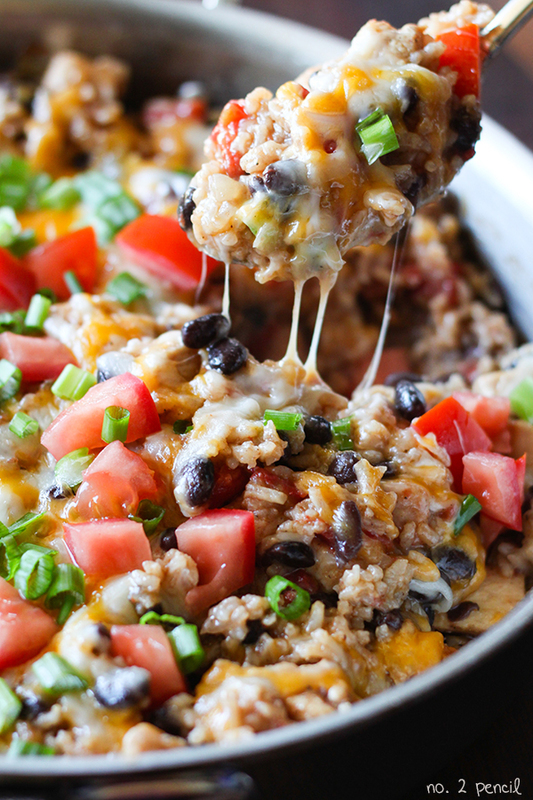 Spread each piece with 1/2 tablespoon of mayo. 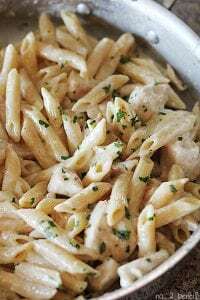 I’m loving olive oil mayo right now, and I thought it was the perfect match for these chicken breast, but regular mayo will work perfectly as well! Cover each chicken breast with prosciutto followed by cheese slices. You can use shredded cheese if you prefer. I used reduced fat slices because that’s what we have on hand. 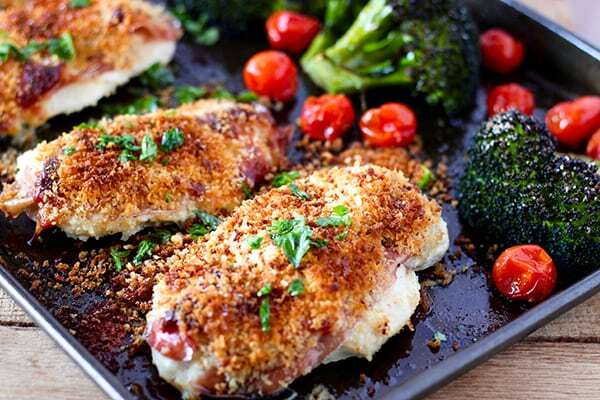 Before adding the breadcrumbs, spray with non stick cooking spray or coconut oil spray. This will help the breadcrumbs adhere while baking. Season the breadcrumbs with salt and pepper and spray lightly again with cooking spray to help them brown. I cut the broccoli heads in half so they would cook at the same rate as the chicken breasts. Add the tomatoes to the pan halfway through the baking time. Spray rimmed baking sheet with non stick cooking spray. Pat chicken breasts dry and season with kosher salt, pepper and 1/4 teaspoon of garlic powder. Arrange chicken breasts on one side of sheet pan and spread 1/2 tablespoon of mayo on top of each chicken breast. Top each chicken breast with two slices of prosciutto followed by provolone slices. Spray provolone slices lightly with non stick cooking spray and sprinkle bread crumbs on top. Spray top of breadcrumbs again lightly with cooking spray to help them brown. 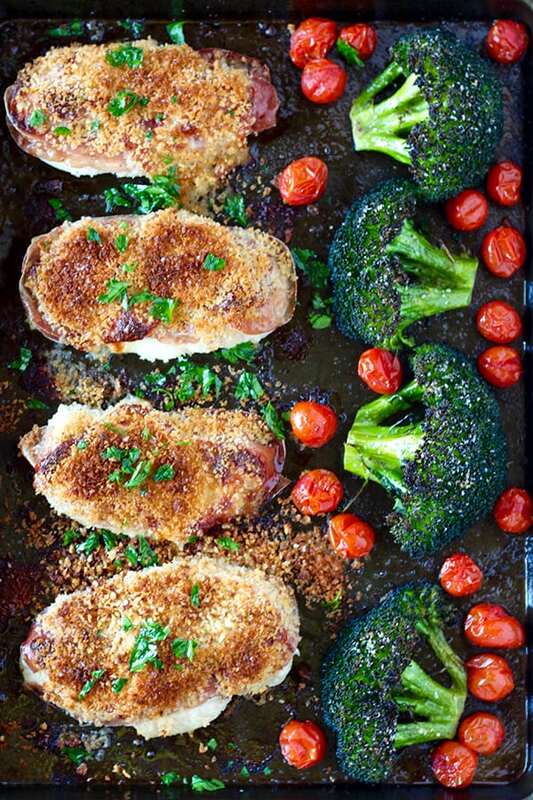 Add broccoli to other side of sheet pan. Drizzle broccoli with 2 teaspoons of olive oil and season with salt, pepper and a sprinkle of garlic powder. Toss tomatoes with 1 teaspoon of olive oil, salt, pepper and a sprinkle of garlic powder and set aside. Bake in oven for about 20 minutes, or until chicken has reached 165 degrees. Add tomatoes to sheet pan half way through cooking time. I just love this meal! 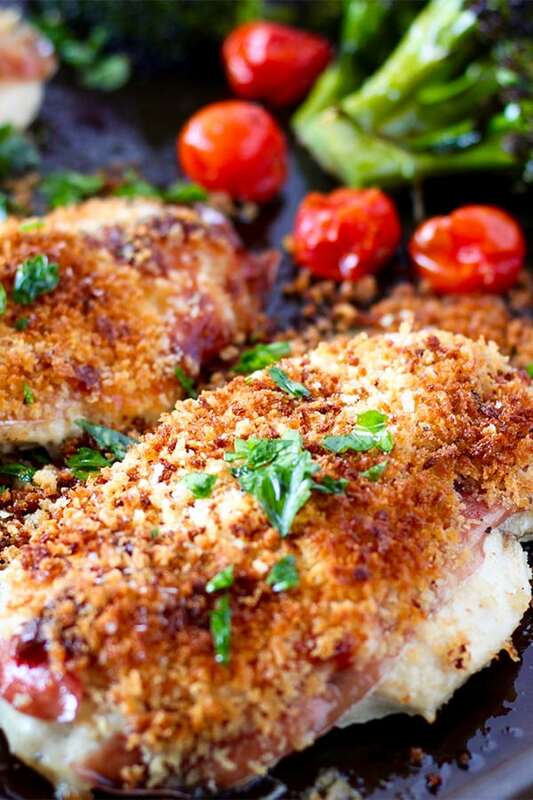 All the delicious flavors of stuffed chicken breast with none of the work! This is sure to become a family favorite!